There is so much more to sipping a fine brew of Tie Guan Yin, perhaps China’s best known tea, than drinking your daily cuppa. 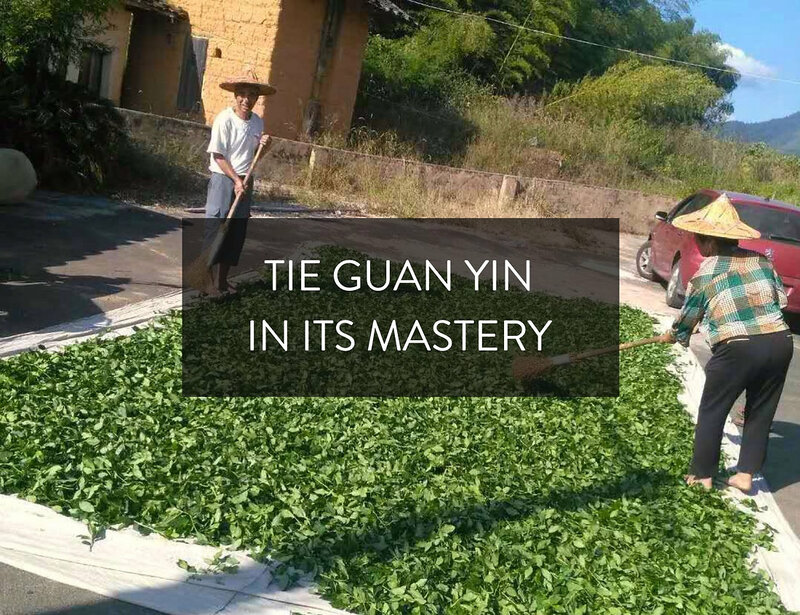 Mr Chen Jin Yuan, an artisan tea farmer from the famous tea producing county of An'Xi in the southern Fujian Province of China, shares his wisdom on how to savour the supreme taste of his ecologically grown Tie Guan Yin. “Take a sip from the cup, let the tea liquor rest on your palate. Swish it around in your mouth, swallow it slowly, then exhale from the nose. You will notice the unique and intriguing sensations emerging on your tongue." Different varieties of teas diffuse pronounced flavours of their own, giving out a spectrum of distinct mouthfeels. The Premium An'Xi Tie Guan Yin, for example, is a lightly oxidised Oolong tea prized for its great length of floral sweetness. Once brewed, underneath the emerald green liquid, you can sense a scent resembling orchid flowers. "As the tea infusion glides across your tongue, the fruity nectar note starts to kick in," Chen describes. "It then gradually evolves into a mouthful of enduring fragrance, yielding a robust aromatic aftertaste." "The aftertaste will grow over time when you enjoy the repeated infusions of the same leaves, as each steeping adds more radiating flavours and aroma." The Roasted Premium An'Xi Tie Guan Yin, on the other hand, gives a different depth of sensuous experience. "We use specific Tie Guan Yin harvested in spring for its high flowery aroma, and bake them with charcoal made from the wood of the lychee tree. 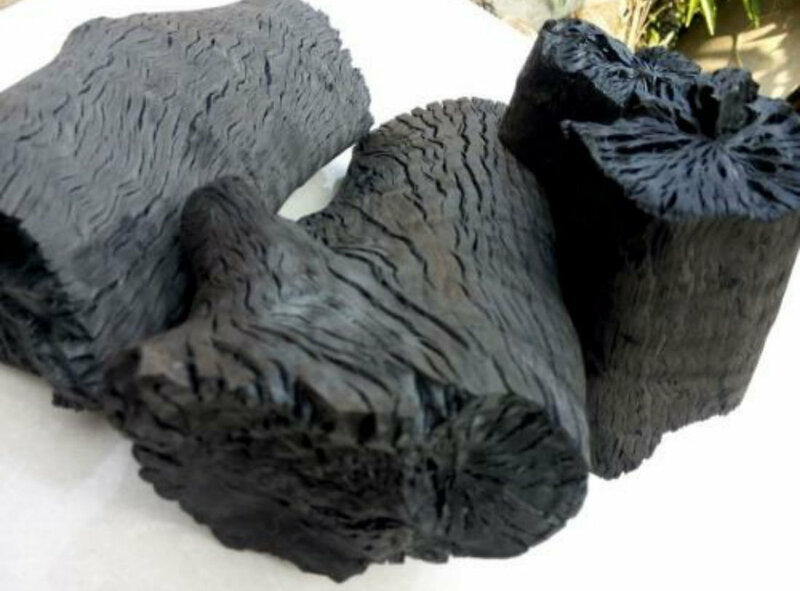 This process takes at least 20 hours, with manually-controlled temperature elevated gradually from 80 to 120 degrees." This mastery roast amplifies the mellow yet complex layers of flavours in the tea, enhancing a richer and warmer taste. The smoke of the lychee wood imparts an almost untraceable perfumery sweetness. "The heavily roasted tea is weightier and more soothing, with a little toastiness and some mild hints of berry fruitiness. The voluptuous velvety texture just goes expansively in the mouth and down the throat. " Mr Chen's passion for his crafted tea leaves is so simply poetic. 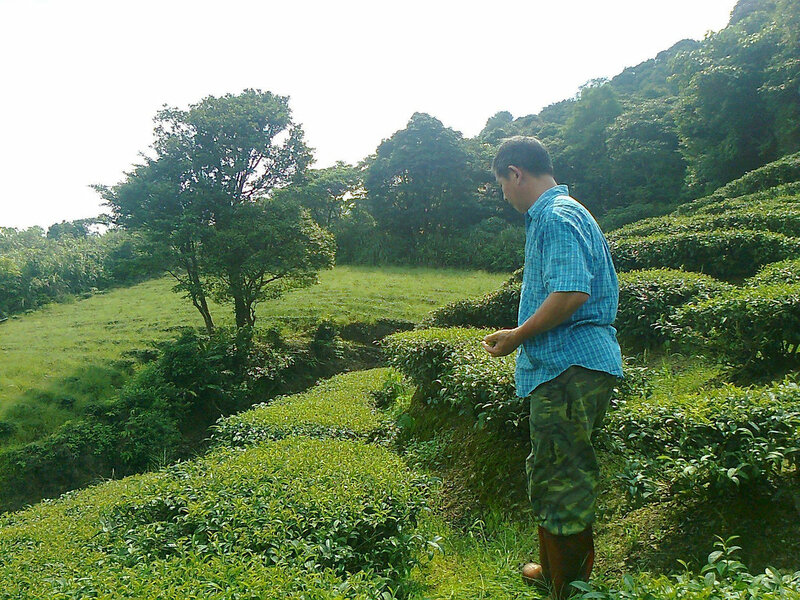 His 30-acres tea farm lies in the middle of An'Xi's mountainous terrain with plenty of humidity and fertile soil to grow one of the world's tastiest teas. The altitude of the hillside cultivation perfectly shelters the tea leaves from harsh sunlight, while the wet and misty climate allows them to mature in abundant moisture, resulting in the tea’s legendary luscious flavours. "I am the third generation farming the same tea plantation our ancestors started here decades ago, " he said proudly. "We are very fortunate to be here as the time, the geographical and social conditions are all favourable for tea growing. This is a gift from nature. We have to make the best of it." With a vision of sustainability and a respect for nature, Chen decided to place the wellness of the soil and the health of the people at its very heart and became one of China's pioneering tea growers to convert to eco-farming. "We don't use excessive fertilizers in our production. We control pest damage and weeds through traditional means and by biological pesticides." In fact, all of the tea products have been tested and certified by SGS and Eurofins according to the European Commission’s pesticide residue standards. "We live off the land, and tea is our livelihood. The exquisite quality of our tea crop is our pride and joy. We do not allow any harmful substance or health-threatening residues to stay on our leaves. " Chen's holistic approach to the maintenance of the ecosystem even includes a morning stroll to greet his tea bushes at every sunrise. "It is the best time of the day to feel the moisture in the leaves, " he smiles, "and I really enjoy checking the bushes out in the morning. I need to make sure they are in good shape before I have an appetite for breakfast!" The fact is, there is so much more to an eco-friendly farm than green leaves and a minty scent. While morning dew shimmers on the landscape, it also reflects the diligent efforts of many generations in preserving this beautiful earth and an extraordinary plant. To Chen and his family, it is not just a forest of exuberant tea bushes. It is a valley of affection and dedication. And our teas grow in these valleys.